Developed specifically for the film and TV industry's most advanced technology, Ultra HD Liquid Foundation creates a naturally flawless complexion—on and off camera. Completely invisible under the latest, super-focused 4k lens, this revolutionary foundation features uniquely-coated pigments that provide medium-to-buildable coverage with an even lighter weight, second-skin texture that looks just like skin. This lighter weight formula delivers the very same flawless results as before when applied with a flat foundation brush in a tap and stretch motion (see How to Use tab). 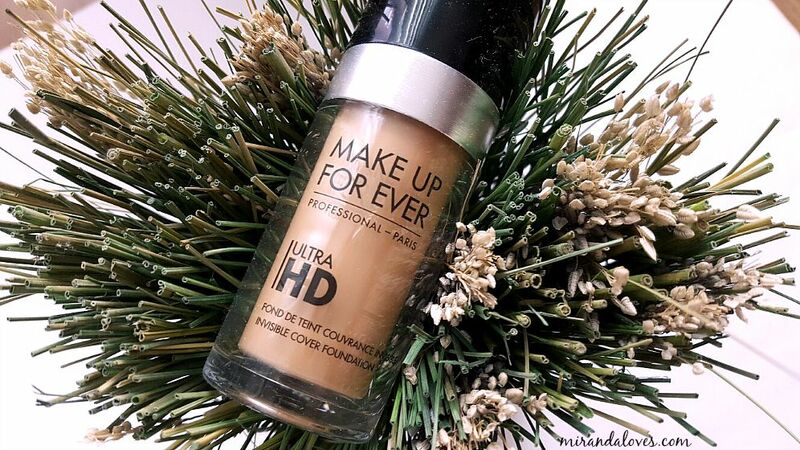 Long lasting with a natural-looking finish, Ultra HD Liquid Foundation is formulated with hyaluronic spheres to ensure comfortable wear on all skin types. Now available in an expanded range of 40 shades to match all skintones, it’s the perfect everyday foundation for a flawless complexion—and an unretouched life. With this shade range, you might find a better match to your skintone than before. Please bare in mind that I had never used the original formulation before so my review is strictly on this specific foundation. - Loved the formulation - ultra light weight and had a very natural skin like finish. Seriously, I didn't look too matte, or dewy - it just looked like my skin but better. - Big color range so compared to many other companies, the likelihood of you being able to find a shade that matches you is higher. My exact shade, which matches me perfectly is 123 = Y365 Desert. - Weightless on your skin, doesn't feel cakey or heavy especially at the end of the day. - Didn't break me out. There's really only one - My friend and i both decided to try this foundation out together. She had oily skin, and I had combo skin (oily t-zone). She had a horrible time making it last through the day as she got oily fairly quickly (before noon) and she likes the fuller coverage, last all day matte coverage. On me, I found that my nose got oily midday which kind of bugged me a bit - I had to powder it. To battle this, I used it with the mattifying MUFE primer sample I got at Sephora only on my nose, and that helped significantly. - drier to normal skin, you'd love this. - combo skin - you will like it. - oily skin who loves full coverage - make sure you prime your face with a mattifying or oil free primer first. Sephora actually has a very informative "how to use" section regarding this product. Choose your primer to create the perfect canvas for smoother, more even and longer-lasting foundation. -Select the Step 1: Skin Equalizer that matches your skin concern. -Enlarged pores: Apply by smoothing onto enlarged pores and fine lines. -Apply two pumps of Ultra HD Liquid Foundation in thin layers, starting in the center of the face and stretching outward. -Flat foundation brush (Artisan Brush #108): Tap to build coverage where needed and then stretch outward for a smoothing effect. -Using a Sponge, press and roll to build coverage where needed. -Light Coverage: Use a buffing brush (Artisan Brush #122), apply in a circular motion. I personally used a buffing brush as I enjoy a lighter airbrush finish that is natural looking. 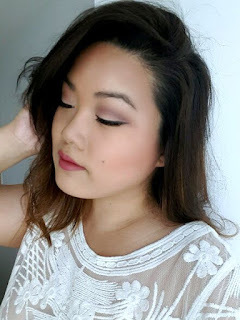 Overall, I do enjoy this foundation - I really learned to appreciate it after I found the correct primer to match it to prevent the oily nose situation. It didn't melt off my face or fade at the end of the day. It stayed put and really, there's nothing more that I would personally ask or look for in a foundation. I found this, in terms of coverage, quite comparable to Giorgio Armani - luminous silk foundation - so if you like the look of that, and the coverage, I think you really should give this foundation a go!